Join us the weekend of July 1st and 2nd for our annual Never Summer training and trail work weekend. This is an informal training weekend that will give you a chance to get up high and preview the trails that make up the Never Summer 100km course. Race staff and volunteers will also be out finishing up the final pieces of trail maintenance and we’d appreciate any support you can offer if you don’t plan on running. Saturday 7/1 (~16.5 miles, 33 miles) – 8am meet at the Ranger Lakes campground to run the southern section of the course. 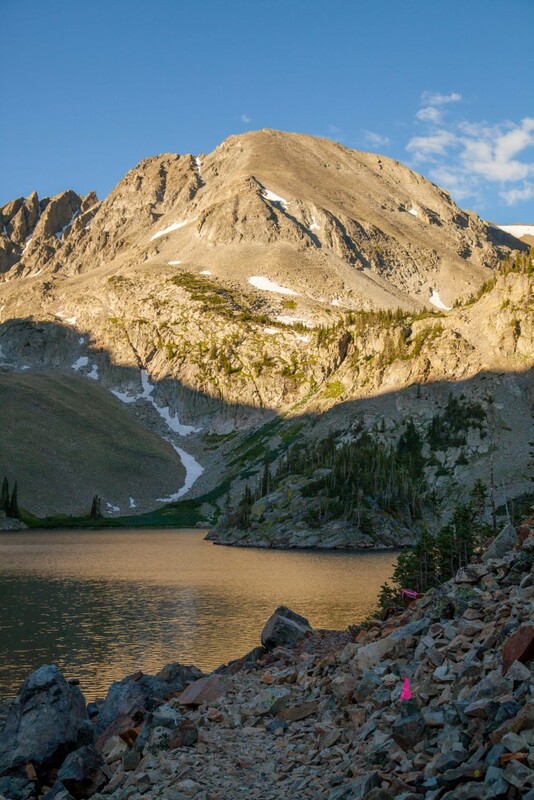 From Ranger Lakes to the Diamond aid station it is roughly 16 miles (with 2 mile jog on hard shoulder back to Ranger Lakes – or car drops/shuttle can be arranged). The full loop from Ranger Lakes to North Diamond, across to Montgomery and down to Bockman and back to Ranger Lakes via the Grass Creek/Gould Mtn section of the course is a little over 33 miles. Sunday 7/2 (21 miles) – 8am meet at Ruby Jewel TH. Run up the Ruby Jewel Road to Kelly Lake/Hidden Valley. Complete the northern loop after descending from Kelly Lake and return via Canadian/North Yurt for 21/25 miles (with/without Clear Lake spur). A shorter option would be to shortcut south on the access road to Canadian from the Kelly Lake junction (~17 miles). Trail work volunteers can meet up with us either day. We’ll mainly be working the southern section of the course. We suggest the Crags Campground (first come, first served, rarely fills) for those that want to camp. Sunrise over Soldier Canyon at the start of the 2017 Quad Rock 50. 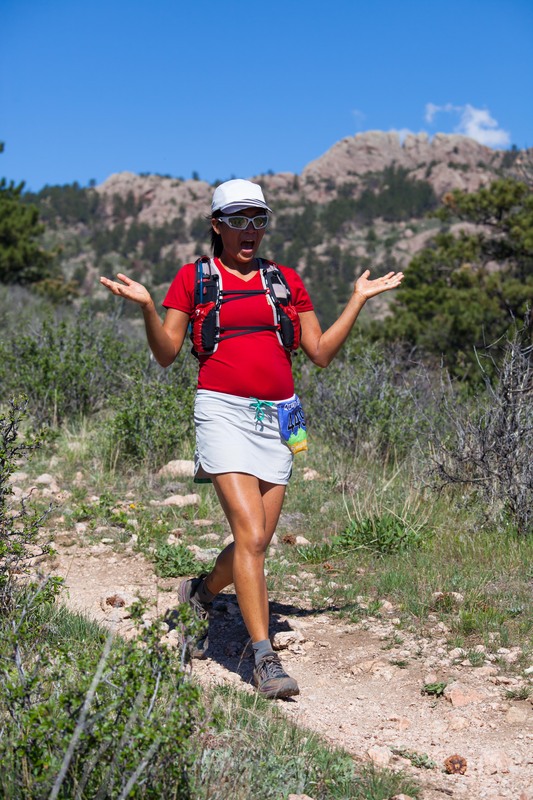 May is an unpredictable month here in Colorado, and once again the weather played a significant role at the Quad Rock Trail Races. After last year’s unexpected cool and damp conditions, this year we were served up sun and early afternoon temperatures that topped out in the mid-80s. While not so bad for our hard working volunteers and race staff, the early season heat presented a significant challenge for the runners. Nonetheless, the day produced a commanding new course record in the women’s 50 mile race, a fast winning time in the men’s race, and a whole host of wonderful finishes from the rest of the field. Overall, we had 178 runners start the 50 mile race and 250 start the 25 mile race for a total of 428 runners on course. 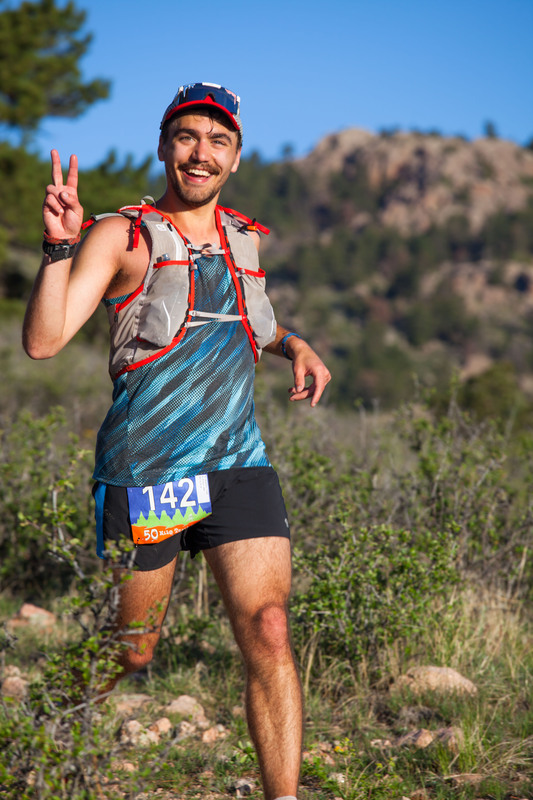 Of the 178 runners that started the 50 mile race, 106 completed the full two loops for a 60 percent finisher rate. A total of 305 runners finished the first 25 mile loop, including 50 mile drops, and all are included in the final 25 mile results. There were a total of 17 runners that did not complete the first 25 mile loop. Brent Kocis on his way to winning the 25 mile race. 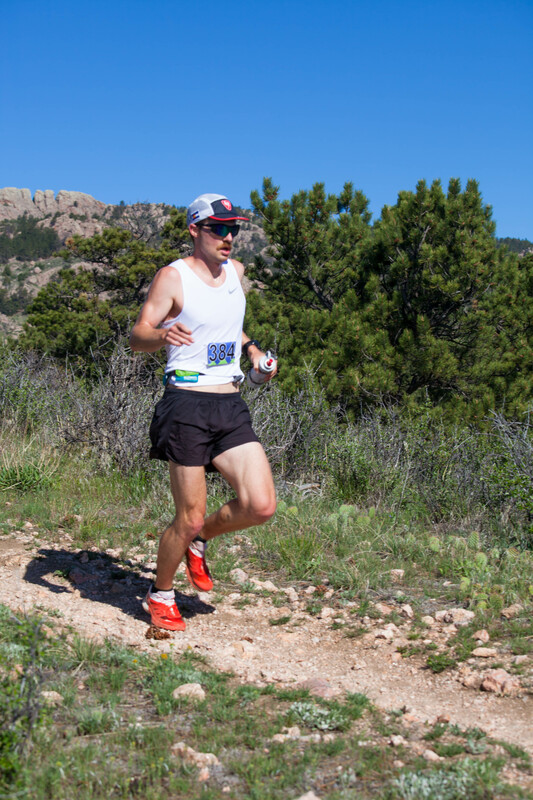 In the men’s 25 mile race, it was Blue Sky Trail Marathon champion Brent Kocis who took control midway through the loop to become the day’s first runner to break the tape in a time of 3:28:07. 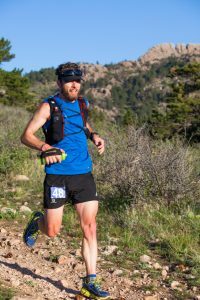 Brent was followed home by Quad Rock 50 mile course record holder Ryan Smith (3:34:16) and Gnar Runners team member Stephen Pretak (3:37:29). 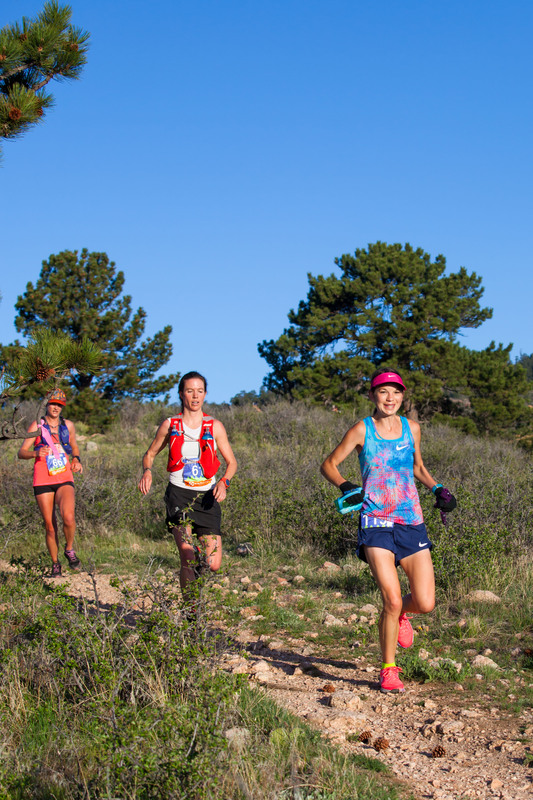 In the women’s 25 mile race, defending champion Ginna Ellis led it out from the gun, but was passed soon after the 10 mile Horsetooth aid station by eventual race winner Taylor Nowlin who crossed the finish line in a time of 4:10:13. Boulder’s Abby Mitchell put in a strong finish to claim second (4:16:29), while Ginna would hang on for third, finishing five minutes behind Abby. Women’s 25 mile podium. Ginna Ellis, Taylor Nowlin and Abby Mitchell. Masters awards in the 25 mile race went to Brazil’s Manuel Lago and Thornton’s Sarah Bunting Lamos. 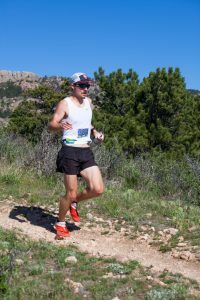 Lago’s performance was particularly impressive as it rounded out a 140 kilometer week during which he led a Colorado training camp that culminated in his group of Brazilian runners taking on the Quad Rock 25. The day’s headline race was the women’s 50 miler, which included a deep field of talented ladies. Canadian-born Boulder resident Marianne Hogan stamped her authority on the proceedings early in the race and went on to lay down a commanding performance that saw her best Becky Wheeler’s 2014 course record by over half an hour and finish fifth overall in a time of 8:29:27. Watch for Marianne next month as she heads to Chamonix, France to take on some of the world’s best at the Mont Blanc 80k (50 mile) race. Kaci Lickteig, Anna Mae Flynn and Clare Gallagher (2, 3, and 4) in the early going. 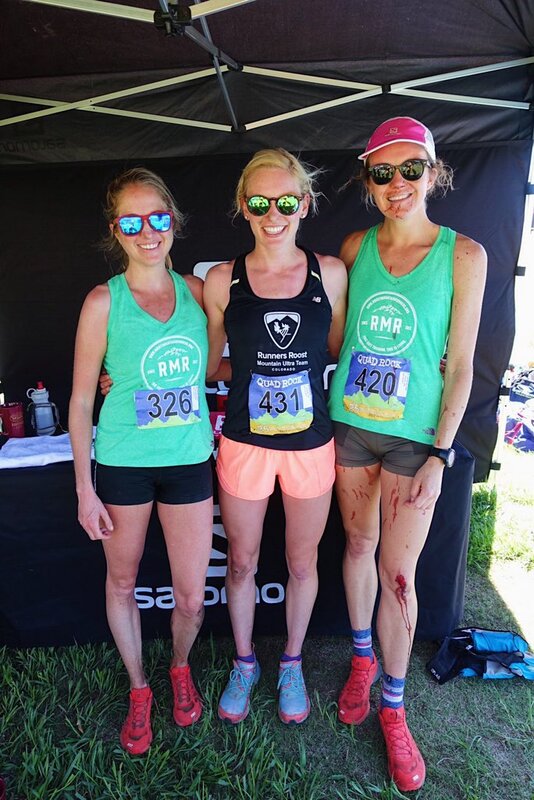 Some 8 minutes behind Marianne was Kaci Lickteig (8:37:26) who ran a controlled effort all day as she gets ready to defend her Western States 100 mile title next month. Rounding out the podium was a hard charging Anna Mae Flynn (8:40:23) who closed to within three minutes of Kaci at the finish after being adrift by as much as 11 minutes at the 50k point. 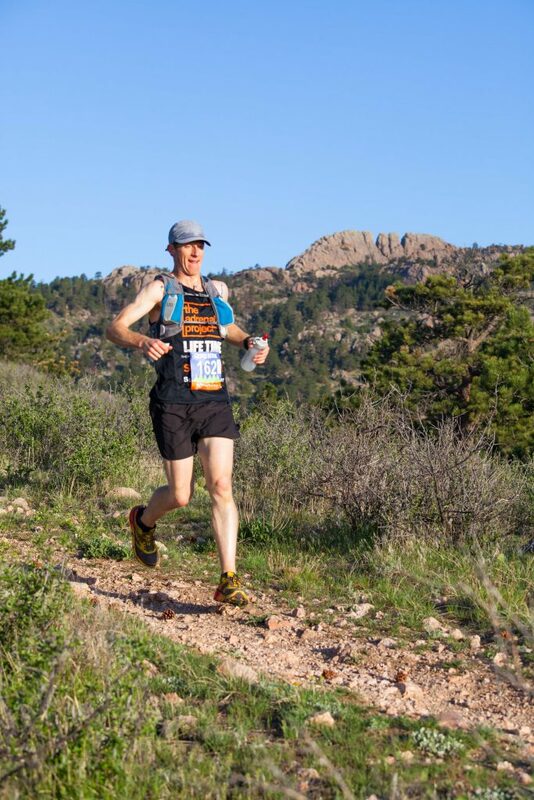 In the 50 mile men’s race, it was 2014 winner Jim Rebenack who led from pillar to post in a controlled and very impressive performance that suggests he’ll be a serious contender when he lines up in August for the Leadville 100. 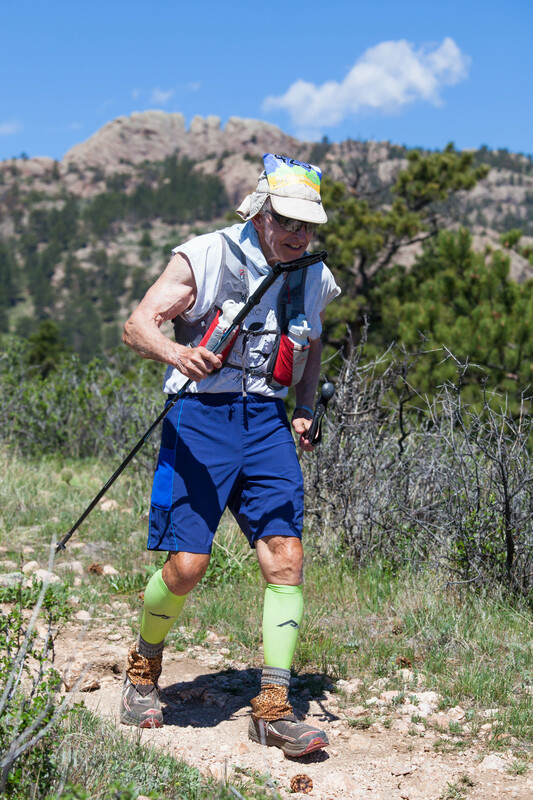 Despite the heat, Jim’s run ranks him third all time in the Quad Rock 50 record books. Jim was followed some 23 minutes later by Daniel Metzger (8:04:07) who for much of the race had been running a close second to Jim. 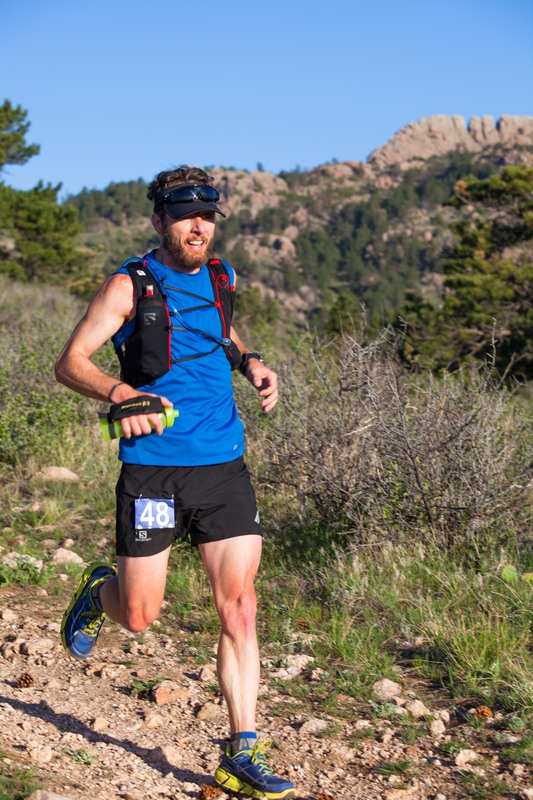 Rounding out the top three was current Never Summer 100 champion Gabe Joyes (8:16:52). In the master’s division, locals Elijah Flenner (9:04:40) and Tara Carter (11:37:36) took home top honors. Elijah moves onto Western States next month, while Tara will be lining up for the Never Summer 100k in late July as the second leg of her attempt to complete the 2017 Gnar Slam. Gnar team member, Ed Delosh on his way to completing his first ultra as the first leg of the 2017 Gnar Slam. In addition to those pushing the pace up front, we of course had a full field of talented and enthusiastic runners behind. By far the best part of our job as race directors is watching finishers come home, especially those who are out there working their way through their first trail race or their first 50 miler. Seeing that sense of accomplishment in the faces of so many finishers is something that never gets old and the main reason we love our job so much, so congratulations to you all. And thank you! As always, we owe a huge debt of gratitude to our team of wonderful volunteers. Year after year we receive heaping compliments from our runners about how fantastic our volunteer team is, and they are absolutely right. Come rain or shine, you guys are out there getting the job done and helping our runners get to the finish safely. Thank You! With generous product support from: VFuel, Trader Joe’s, New Belgium, Intersect Brewing, Mary’s Mountain Cookies, Great Harvest Bread Company, the Fort Collins Food Coop, Morning Fresh Dairy, and Mugs Coffee Lounge. We look forward to seeing you again in 2018 at the same place and approximately the same time. Or even better, we’d love to see you July 22nd at the Never Summer 100km or at one of our shorter events. 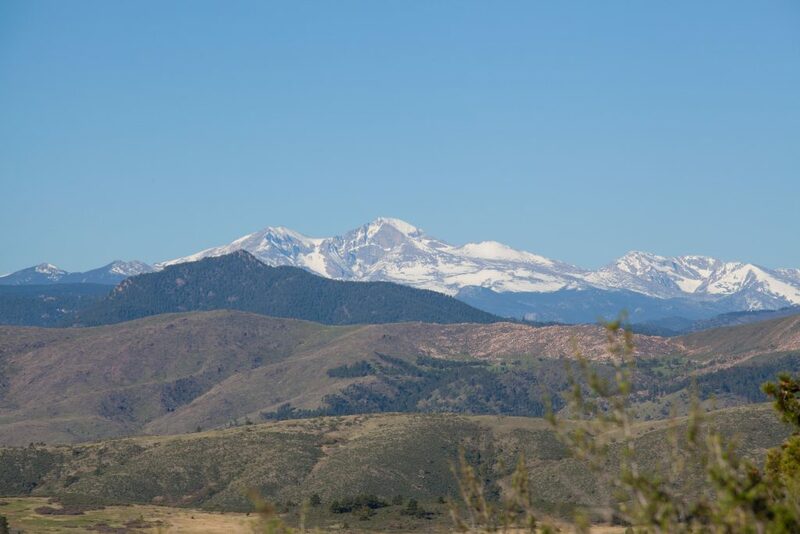 On September 9 we’ll be hosting the fifth running of the Black Squirrel Half Marathon in Lory State Park, followed October 21 by the 10th running of the Blue Sky Marathon, Fort Collins original and only Trail Marathon. Weather: The current forecast is looking pretty good, with mid-week moisture giving way to clearer skies for the weekend. Race day looks like it could be on the hot side, so come prepared for that, but as we’ve learned from previous years, anything can happen. It’s spring time in the Rockies. Should there be any weather-related last minute changes, details will be emailed to participants, published on our blog, and posted on Facebook. Course Conditions: The trails are currently in great shape, the park is green and the creeks are flowing. We have a slight re-route this year due to an eagle-nesting closure on the Spring Creek trail. The reroute around the closure on the Herrington & Stout trails will add a mile to the section between the Towers and Horsetooth aid stations. To compensate, we are taking a mile out of the course in the opening section of the race from the start to Towers. Mileage will be almost exactly the same and there will be a net loss of 200 of vertical gain per lap. Time-wise the course may be a touch quicker, but the re-route adds a mile of technical singletrack and removes a mile of dirt road so it’s pretty much a wash.
Pre-race packet pick up will be held at Altitude Running on Friday from 4:00 to 7:00 p.m. at 150 East Harmony Road just north and east of the Harmony/College intersection on the south side of town. Race partner Salomon Running will be offering a gift with the purchase of any pair of Salomon shoes at packet pickup. 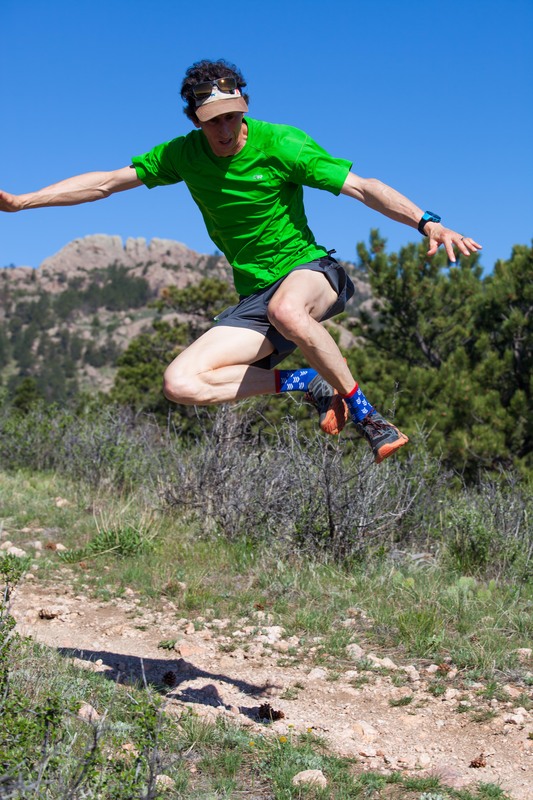 There is also an Altitude Running coupon on the back of your race bib that is good for 15% off any Salomon or Drymax Socks products bought at the store. We are chip timing the race this year so bibs will be handed out at Friday packet pickup. If you can, we ask that you come by Friday to pick up your bib and race gear to help smooth race day check in. Those of you that can’t pick up your bib and packet Friday afternoon can do so in the morning from 4:00 – 5:15 for 50 milers and from 6:00 – 7:45 for 25 milers. The 50 mile race will begin at 5:30 a.m. and the 25 mile race will begin at 8:00am. The official race start will be on gun time. You will be directed over a timing mat shortly after the start to be officially recorded as a starter and confirmed on course. If you wish to switch from the 50 mile race to the official 25 mile race start at 8am, please notify us by the end of packet pickup on Friday. 50 mile starters who drop out at 25 miles will receive a finish time and finisher award but will not be eligible for overall or age group awards. Bib numbers must be worn on the front and visible at all times. Do not remove, fold, or damage the attached chip tag on the back of your bib. We will be at full capacity on Saturday, so we recommend that you give yourself plenty of time to park (up to a mile away from check-in), get your bib, and get ready to run. If you can carpool, please do. Not only is it one less vehicle on the road but it helps reduce stress on Lory State Park’s limited parking infrastructure, and it gets you priority parking near the start. There are park toilets at the Timber parking lot, at the top of the Soldier Canyon parking lot, at the bottom of the Soldier Canyon lot near the start, and at the South Eltuck trailhead at the far end of the spur road which overflow cars will be parked on. We will also have port-a-johns near the start/finish (always the longest line). Parking passes will be distributed by parking volunteers at the entrance to the park in the morning. Make sure your pass is visible on your dash. Vehicles without a park pass may be ticketed. Lory State Park will be open for parking at 4am. 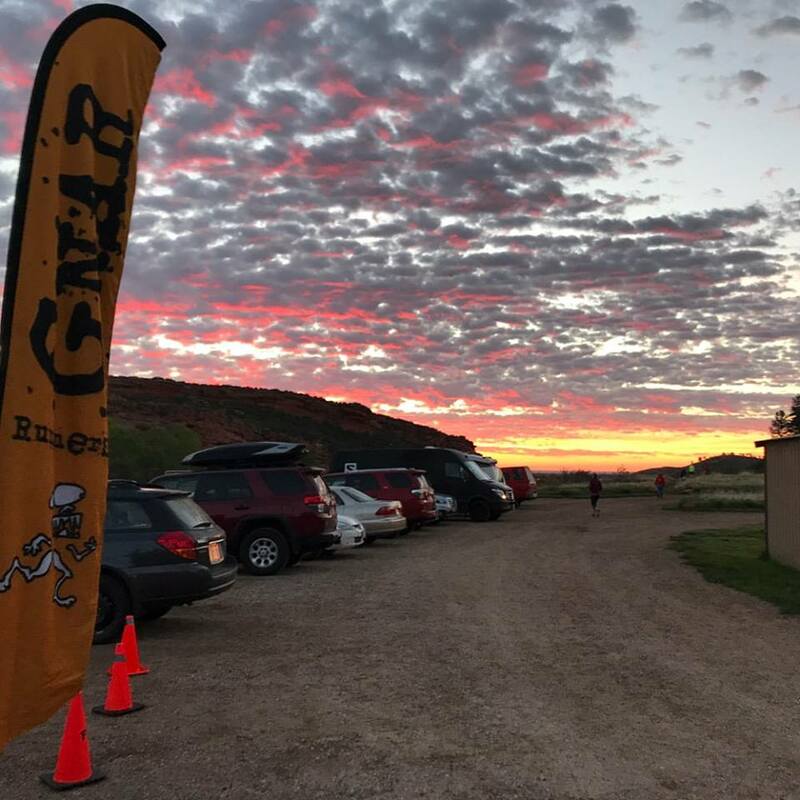 Carpools of two or more participants for both races will be given priority parking close to the start at the Soldier Canyon trailhead. All others will be directed first to the Timber trailhead parking area and then down the main park road to loop left back towards the start on the Lodgepole Loop. Parking on Lodgepole will be on the right (east) side of the road. The earlier you get there, the closer to the start you’ll be parked. Directions and parking details are here. Horsetooth drop bags (mile 10.3 and 39.5) must be dropped off by 5:00 a.m. before the 50 mile race start. 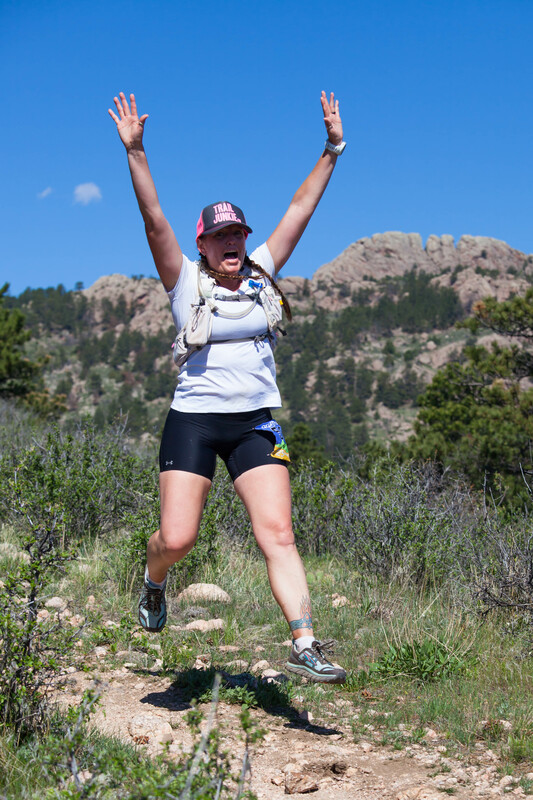 25 Mile runners may drop off a Horsetooth drop bag at Friday packet pickup. Finish drop bags may be left any time before each race start. Bib numbers will be assigned on the Ultrasignup entrant list by Wednesday if you want to pre-label your drop bag with name and race number. Horsetooth drop bags will be returned to the start/finish at about 5:00pm after the aid station team returns to the finish. It is a 20 minute drive from Lory to Horsetooth if you need to pick up your drop bag before then. This year at the post-race BBQ we will have beer from New Belgium Brewing (Fat Tire Amber Ale) and a refreshing raspberry weiss from Intersect Brewing. Runners will receive a meal ticket with their finisher mug. For those bringing family/friends who didn’t order extra meals when registering, food and a beer will be available for a $10 donation to our race beneficiary (cash/check). First beer is free for everyone, we then ask that you make a cash donation for additional beers. Our BBQ will be well stocked with burgers, brats, Amy’s vegan burgers, vegan quinoa salad from the Fort Collins Food Co-Op, Mary’s Mountain Cookies, Trader Joe’s fruit, Great Harvest buns, Eldorado Vitamin Water, Morning Fresh Dairy Chocolate Milk, and lots of other goodies. All BBQ proceeds will be donated to the Teaching Tree Early Childhood Learning Center. 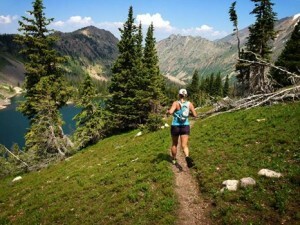 Salomon Running will be on hand after the race demo’ing their trail running line up. Check out the back of your race bib for an Altitude Running offer on Salomon shoes and also Drymax socks. Also check out your bib for an offer from our physical therapy partners, Colorado in Motion. During the awards and raffle, we’ll be giving away some great stuff from those sponsors and other race sponsors. Course markings will be pink ribbons, hung every 1/4 mile or so, with additional marking at all junctions. Flour markings and/or pink pin flags will supplement at key intersections. Limited in-race updates will be via the Gnar Twitter feed, and we will be attempting to publish updates to OpenSplitTime.org; however, this is our first year trying to update the race with live splits, and data connections can be fickle at Lory, so please have patience if this doesn’t work out quite as planned. 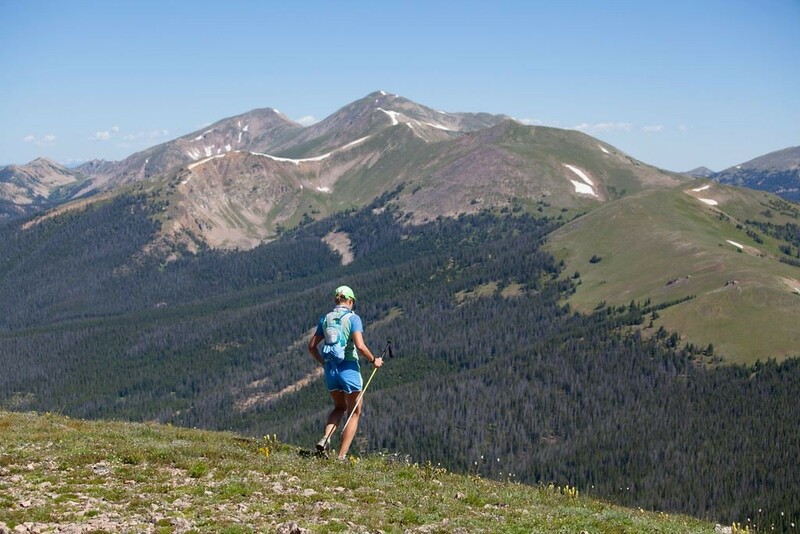 Trails are open to everyone to enjoy all day; however, crewing outside of designated aid stations is not allowed. There is a BMX bike park right by the start/finish area, so feel free to bring a bike for the kids (or yourself). Trails are also open to bikes. The reservoir is just a short walk down from the start/finish area and there is a small cove ideal for paddling or submerging battered legs. The Healthy Smile, Dirty Feet One Mile Kids Race (half (closed) road, half trail) – sponsored by long-time race supporter Justin Liddle DMD – will begin at 2:00 from the race start. Crew access info is available here. And, finally, if you have questions that can’t be answered here or on the race website, feel free to drop us a line and we’ll do our best to get back to you.